Acocks Green has allotments available for this year, and this is a great time to get stuck in and start growing your own fruit and vegetables. There are a wide number of crops which can be grown on an allotment and these can be of a high quality and free of the unwanted chemical sprays and artificial methods associated with bulk commercial growing. Vegetables often taste better and can be picked and eaten fresh. Many friends are made at an allotment, you can meet like minded people and you don’t need to be an expert gardener to be successful. The cultivation of crops and the tending of plots in general can be a very satisfying way to relax and forget about the stresses of everyday life.With the introduction of new strains of fruit trees, apples, plums and even cherries may be grown on dwarfing stocks in a limited space. The growing of soft fruit for jam making, grape vines and a wide variety of flowers and herbs is also now possible. Many people find allotment work quite vigorous and, as such, a useful and rewarding way of keeping fit and healthy. 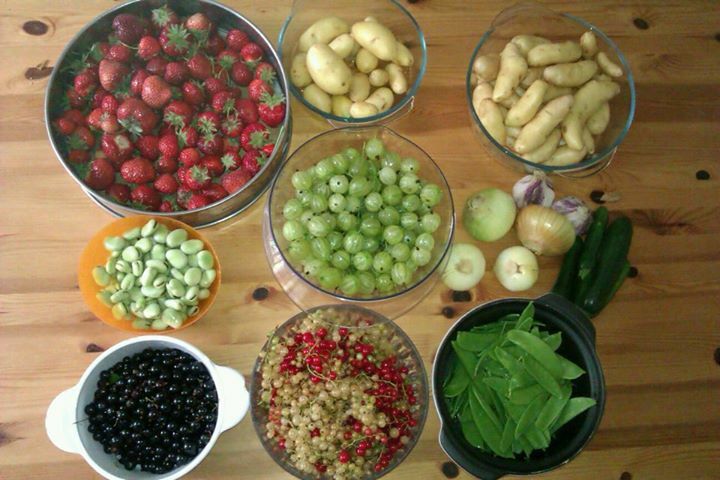 Allotment produce, in addition to being fresh, can normally be grown at a cheaper cost than equivalent shop goods. There are vacant plots available on our allotment sites. Sizes and costs vary and they are half price for Over 65s. Gardening on an allotment gives you lots of space to dedicate to growing your favourite produce and the advice and experience of other local gardeners is also close at hand.! This is a good time to start an allotment so that you can prepare the land for spring planting. It might be an idea to get family and friends involved too and then you can share the rewards. This entry was posted in News, places on interest and tagged Acocks Green, allotments, Clay Lane, Community, exercise, fruit, gardening, Healthy Eating, vegetables. Bookmark the permalink.